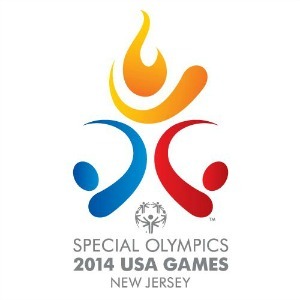 The Special Olympics 2014 USA Games will be hosted by New Jersey June 14-21. Nearly 3,500 athletes will compete in 16 Olympic-style team and individual sports. Among those athletes will be 72 of Special Olympics Nebraska’s finest representing our state in Aquatics, Bocce, Bowling, Flag Football, Golf, Powerlifting, Soccer, Softball, and Track. Joining the athletes will be 20 coaches and staff from across Nebraska. With less than two weeks to go, athletes and coaches have been getting in final practices and making preparations for the June 14th departure date. The Nebraska delegation is departing out of Epply Airfield early in the morning and arriving in New Jersey at 1:00pm. The 2014 Special Olympics USA Games will showcase the awe-inspiring abilities of athletes with intellectual disabilities, promote the ideals of acceptance and celebrate the transformative power of Special Olympics Nebraska. In addition to competition, athletes will get to enjoy a dinner cruise on the Hudson, baseball game and athlete carnival. The 2014 Special Olympics USA Games will be unlike any other in the history of Special Olympics USA Games in scope, sophistication, and offerings. The 2014 Special Olympics USA Games will be the most inclusive Games to date with Unified Sports competition being offered in ten of the sports including basketball, bocce, bowling, flag football, golf, soccer, softball, tennis, triathlon and volleyball.